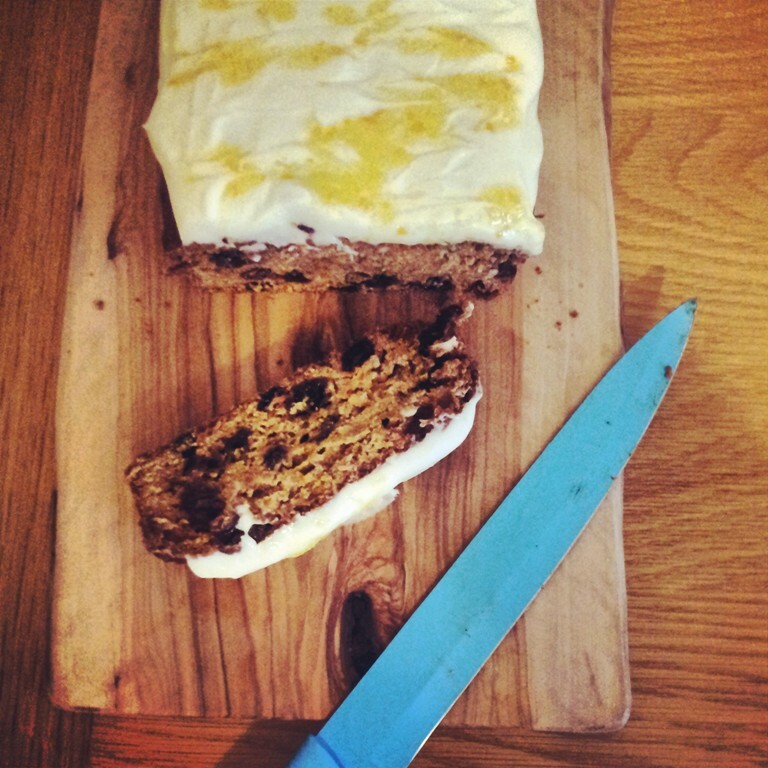 Skinny carrot cake – a guilt free treat for my Mum’s birthday! This last week Jon and I have been sunning ourselves on the beautiful Island of Lanzarote. The weather was warm, the hotel was stunning and the food was to die for. What’s more we got to feel the heat of a real volcano just below our feet. It was all very exciting. As I’m sure you can imagine, when we are in holiday we over idulge big time. We think it’s important to try the local food and often go a little OTT. Lanzarote for example has some of the best goats cheese I’ve ever tasted: we also ate chipperones fresh out of the sea as well as the local dish of Canarian Potatoes and Mojo Sauce* and much, much more. *More on the infamous mojo sauce soon, when I’ll be sharing the recipe for both red and green varieties. After all of the local food and (if possible) even more local wine, the last thing we were expecting to have on the island was the most amazing carrot cake ever! I warn you though – this carrot cake wasn’t for the faint hearted. It was slathered in cream cheese frosting and served with a huge dollop of cream. It was also three tiers high and was an incredibly generous wedge that was so large even the word “doorstop” didn’t accurately describe it. When I got back to the UK that carrot cake really got me thinking. Just eating my share of the cake had left me with a huge sugar rush and left me feeling a little bit pants and that’s not what you want when you are out enjoying yourself. 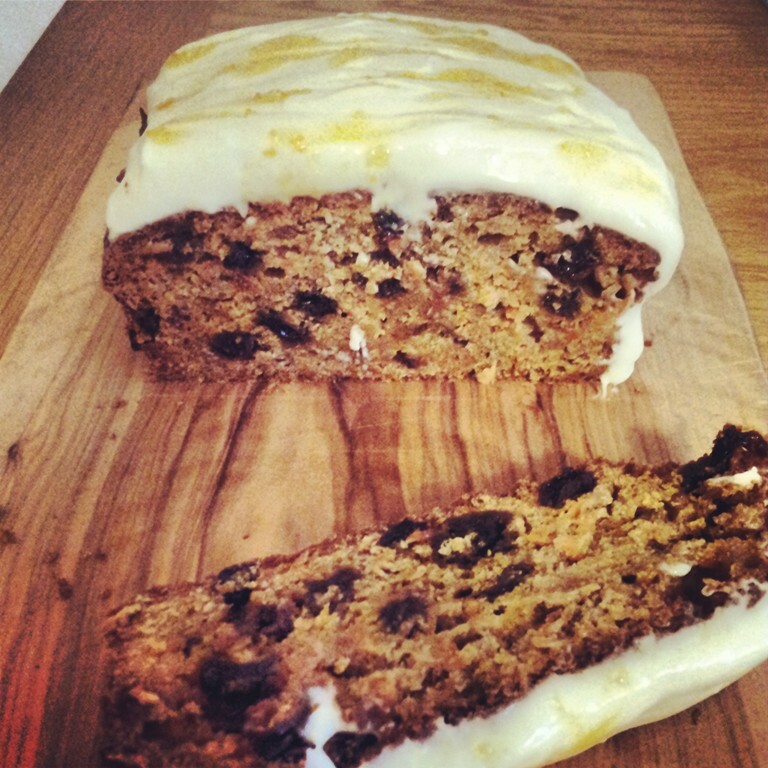 With that in mind I thought it was time to revisit one of my favourite low fat cake recipes – low fat carrot cake. This low fat carrot cake recipe was inspired by my Mum who absolutely adores carrot cake in all of its forms. I mastered low fat banana bread a few years ago and when Mum’s birthday came around she challenged me to take some of the principles I’d learnt developing the banana bread and instead make a low fat carrot cake that wouldn’t leave her feeling guilty on her birthday. The key to this recipe is using the moisture of the citrus fruit and oil instead of butter, and whisking up egg whites to get the lift you need. I also want to add, don’t believe anyone who says you can’t make a good cream cheese frosting with low fat cream cheese! Trust me when you try this carrot cake you’ll be wondering why you’ve been eating the full fat kind all along. I've used healthier swaps to make this carrot cake lighter than the usual cake found in your local bakery. Pre-heat your oven to gas mark 3. First, begin by placing the whole orange for the icing in a pan of hot water. Put the pan on a medium heat and bring to a rolling boil. The orange will need to boil for roughly 1.5hrs or until the skin is soft and the fruit is bouncy to the touch. Whilst the orange is boiling add the fruit and peel to the citrus juices in a bowl, and place to one side. Next separate the whites from the yolks. In a large bowl whisk the yolks with the sugar and then slowly add the oil a little at a time until it has become thicker and airy. Stir in the fruit along with the peel and any juices left in the bowl before adding in the carrots. Ensure the fruit and vegetables are well combined with the sugar and egg mix before stirring in the flour and spices slowly. The mix will get quite stiff so it is easier to do this gradually. In a separate bowl, whisk the remaining egg whites to soft peaks before gently folding these into the floury cake mix. Spoon into a lined loaf tin and cook for 1 – 1.5hours at gas mark 3 or until the cake is bouncy to the touch and a skewer comes out clean. When the cake is done, turn out onto a cooling rack and allow to cool completely before beginning the icing. Take the boiled orange out of the pan of boiling water and blitz in a blender. You will only need ½ of the orange puree made but this can be kept in a Tupperware in the fridge for up to 2 weeks. Mix the puree with 2 tbsp of the icing sugar and place to one side. Next mix the cream cheese with the remaining icing sugar until smooth and creamy. Spread the cream cheese icing over the top of the carrot cake and drizzle the orange and icing puree over the top of the cake to finish. I served this carrot cake most recently when I had my parents round for dinner to celebrate my Mum’s birthday. It was the first time I had had a chance to cook them a proper dinner in the new flat and my Mum was incredibly grateful for all the trouble I had gone to, to give her such a delicious and guilt free birthday cake. It may not have been the most conventional birthday cake but it made her happy and that’s what’s really important isn’t it?